All inclusive Bora Bora Retreat is a fine luxury offered in the form of vacation package to people by Pacificislands.com. This amazing package offers delightful way of unwinding and allows you to enjoy stress-free with family and friends at one of the signature Le Meridian resorts that take hospitality to an entirely different level. This all-inclusive package has some of the finest features that can help you have the experience of the lifetime in the best possible environments made more beautiful with personalized packages and custom services. Once you land at Bora Bora, you are taken to overwater guesthouse where you can stay for five nights. 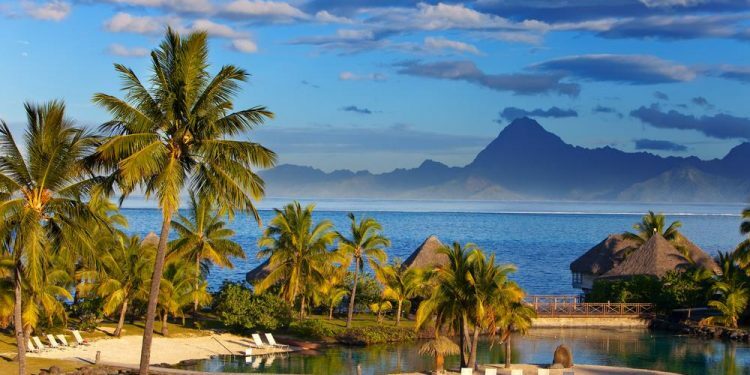 The Tahitian tour of Bora Bora can be considered for Honeymoon, Cruise trip, family vacation, rejuvenation trip, and above all, the Event Vacation where the travelers reach this beautiful destination at the time of the events that are exclusive to this remote area of the world. You can become part of these events that are annual and allow you to indulge in the best moments of your lifetime. This luxury package is priced at $ 4,768 per person and is a perfect way to add something with far-fetching effect to your memory. Starting from LA, this tour takes you to the fabulous world of Bora Bora islands where you cut yourself from the world and unwind in style, and meets the fabulous end at LA where the life is waiting for the rejuvenated, energetic you.